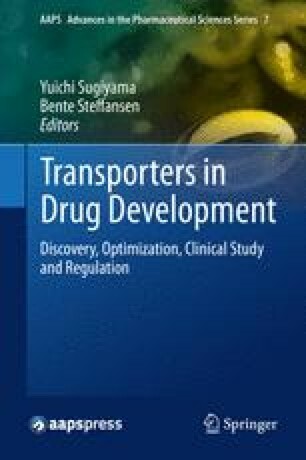 The impact of transporters in modulating the disposition of drugs in the liver and their passage across the gut wall has received much more attention than their role in renal excretion, despite the fact that 25–30 % of drugs are cleared predominantly by renal clearance and renal transporters contribute significantly to this process. Thus there is a need to improve the ability to predict changes in renal clearance arising from genetic variability, the impact of disease and interactions related to renal transporters. Such changes may also influence the accumulation of xenobiotics within the kidney cell leading to nephrotoxicity. Attempts to develop mechanistic, physiologically based models of renal drug elimination have been limited. This chapter outlines the features and application of a new model (Mech KiM) that links drug characteristics to knowledge of renal physiology in predicting the contributions of glomerular filtration, active and passive secretion, active and passive reabsorption and metabolism to renal elimination. IVIVE for renal transporters using rhTransporter cell systems such as CHO-OAT1, HEK293-OAT3, etc.